The principals of TCA have purchased over $200 million in cell towers and leases and provided capital to hundreds of Site Owners across the country. We have raised over $300 million to fund our acquisitions, acted as advisor on the deployment of more than $400 million more and have served the industry and it’s constituents since 2001. In September of 2014, TCA announced their re-entry into the direct lease and tower buyout business in a partnership with an institutional funding partner (and more recently with AT&T). Since this announcement, we have shown that our offers for wireless leases are higher than most any other in the industry. This is made possible because we do not employ sales personnel or have a call center and all of our origination come from inbound inquiries by landlords that have seen the data we provide the market at no charge or from our carrier partner. With more than $1 billion in infrastructure capital available, we would be pleased make an offer on your asset as well. Wireless lease purchase transactions are typically structured with two components, the sale of an easement and the assignment of the lease/rents. Sales are done for fixed durations ranging from 30 years to perpetual (99 years). Purchasing an easement provides a ‘real-estate’ like feature to the sale that benefits both seller and buyer, and taking assignment of the lease (and any successor lease) is how the rents are transferred to the buyer. While shorter terms are often available from some buyers, sellers should consult their tax professionals for advice on short-term easement sales. Use of the easement purchase structure benefits the Seller because it is the sale of the easement that affords him long-term cap gains tax treatment. Buyer benefits because it looks and smells like real estate and is REIT compliant, among other credit related reasons. The easement being purchased is a telecom easement and can be either: specific (meaning not requiring any expansion of the space defined in the existing lease), expanded (meaning drawn slightly larger than the current compound) or general to the property. The assignment of lease and successor lease gets the buyer his rents. It is also for the same fixed term, so the rent reverts back to the seller (or future property owner) when the term of the purchase expires. The ‘successor’ part comes because the lease often expires and has to be renegotiated (up or down) by the buyer. It is more often down than up unless the site currently has a below market rent and knowledgeable landlord / seller . The ‘successor lease’ part is because, if the tenant terminates the lease the day after it is purchased or anytime during the term, great for the seller who has his/her money, but the buyer is in a world of hurt (no more rent) and has to have the right, for some period of time (negotiable typically between 2-10 years) to ‘try’ and find another tenant. Finding a replacement tenant rarely happens. In such a case, if the buyer fails to re-lease the location, after the negotiated easement ‘abandonment’ period is up, the easement goes away. That results in a less than expected return for the buyer, or a loss. WHAT: Many buyers will try and get expansions at a minimum to take away any upside that might occur down the road if the tenant whose lease is being purchased needs more space. Other buyers pitch taking a general easement across the entire roof or property and promise to ‘bring more tenants’ and share anywhere from 50/50 to 75/25 (seller favor) in new tenant revenue. Seller’s should give up neither expanded or general easements to any financial buyer or to any large tower company in our opinion. Almost no one other than the carriers knows where the next sites are needed, so marketing is tough to begin with and finding one for a specific roof has little history (other than accidental) of success. It is impossible to ‘find’ new tenants when you have literally no employees that market to the carriers and zero history of success doing so even if you did (the financial buyers). 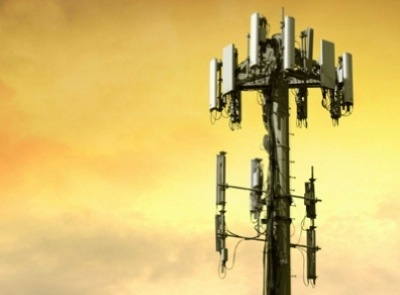 It is improbable that the buyer will find new tenants when they have cell towers all around the subject property that, when the next tenant need arises, they would much prefer to put them on their own tower because they don’t have to share any of the rent with the seller (the larger towercos). TO WHOM: Sell a specific easement to anyone unless the price is better from a middle market, low site count tower company. Don’t believe anyone that says they are bringing new tenants to your rooftop or (if a tower) to a tower they don’t own and couldn’t put tenants on if they wanted to (only the tower owner can). FOR HOW LONG: Selling for > 30 years gets better tax treatment (TCA does not provide tax advice, so consult with your accountants). Do you sell past the end of all renewals? 98% of the time, sellers do and probably should. The longer the purchase term (obviously), the greater the proceeds and unless your horizon is > 30 years, why would you care? The buyer is more than likely to have to take a reduction to get a tenant to stay (if we are using cell phones anyway) 30 years from now. Exceptions: Rooftops and single tenant towers: – If you have a lease expiring over the short term (e.g. < 5 years), have below market rents and you do not need the money immediately. Renegotiate that lease first, then sell. If you are renegotiating a lease on a tower, try and add revenue sharing provision if additional tenants are added. In the case of either a rooftop or a tower, keep the compound size small. If you are not selling at all, negotiate as short a term as possible. Multi-tenant towers: If you get paid for a ground lease under a tower with more than one viable tenant on it (the big 4 carriers), the lease expires over the medium term (e.g. <10 years) DO NOT sign any amendments or extensions and give TCA a call for some free, sound advice. For years, landlords to the wireless carriers have not been offered full value for their leases by the aggregation community. TCA is committed to making the market efficient by providing Seller’s with regularly updated statistical data on values and transparent, simply constructed, ‘best-foot-forward’ offers to acquire their asset. In most all cases, we only purchase the exact space your current lease encompasses. Unlike other buyers, we do not attempt to ‘expand’ our easement area and offer to ‘bring more revenue’ to a tower or rooftop we don’t own. Financial buyers of these assets have no track record of success generating new tenants and are looking to take a piece of any new rent that might be charge-able to your existing tenant if and when they need more space. We start, not finish, by putting our highest number on the table with our first offer. Tower Capital Advisors does not employ ‘call centers’ or a paid sales force. Site Owners find us or we connect with them via our network of wireless industry and real estate professionals local to their market. Because of this, our overhead is significantly lower than the ‘buy and flip’ aggregation firms, whose paid sales personnel and call centers are expensive to maintain. TCA’s lease purchase offers are currently averaging in excess of 15x the annual rent of the 4 big carriers, while ‘opening’ offers by the aggregation firms average 10+% less. Our offers are even higher when the lease escalates more than 3%/year or 15%/5 years. We publish the average of our own purchase multiples and those of our competitors and update the information on a quarterly basis. No other firm in the industry does this because their objective is to pay as little as possible for the lease. Our objective is to pay you more and have it cost us less to do it. Our purchase documentation is the simplest and most concise in the industry. We do not require an expansion of or general easement on your property, but only request a specific easement in most cases. That means that future tenants that come on your property or an expansion of the need of the existing tenant that results in additional revenue is yours to keep and does not have to be shared with us. Most other firms attempt to take expanded or general easements and offer you back a portion of what should have been your future upside potential to begin with. We don’t tell you your site is ‘at risk’ of being taken down as a sales tactic. While it is true that some sites are decommissioned every year, especially the sites of tenants other than the ‘big 4’ carriers and tower companies, we wouldn’t be in the business of buying them if it represented a sizable risk. Do not sign amendments, expansions or extensions to your existing lease: Did you know that your lease may be worth MORE, not LESS when all the renewals are up? Depending on the tenant, odds are very good the site will not be going away and acquisition firms price the opportunity to raise rent at the end of all lease expirations into their offers – so do not sign amendments extending your lease term. Both the carriers and the tower companies use 3rd party vendors to contact their landlords and attempt to amend or extend leases when the purpose of these amendments is more often than not to, among other things, REDUCE rents, insert Rights of First Refusal clauses and expand space. Contact TCA instead for a free valuation estimate and free advice on your particular situation. Do not accept Right of First Refusal language in an amendment or extension: The owner of the equipment or tower on your property wants to lock you in for as long as possible – and while the right to match an offer you have for your lease might seem harmless enough, many buyers will not bid on leases with ROFR’s in them or will do so at reduced prices. This is mostly applicable to towers owned by the public tower companies. Leases with the carriers directly often contain ROFR’s and they are rarely exercised. Do not accept a Staged payout or payments over time: Many firms offer payments over time instead of a lump sum of cash up front, or payments of ‘new rents’ over time. Sometimes this is done with naïve property owners in the hope that he or she will simply add up all future payments and look at it as the total they are being paid. First, paying for something over a number of years does not take into account inflation and is not the same as being paid up front. A good everyday example is that lotto’s ‘cash option’ does not pay the same as the stated 20 year payout. This is because a dollar tomorrow is worth less than a dollar today. Second, and even more importantly, do you know who exactly it is that you in effect are becoming a creditor of by accepting a stages payout or future rent payment schedule from? What is the financial wherewithal of the firm promising to pay you some significant amount of money 3, 5, 10 or more years from now? Few if any of the firms in the space that buy leases are publicly traded and no one should take the credit risk of a privately financed company without some form of collateral backing (e.g. letter of credit, escrow, etc.). Don’t sell an expanded easement to a financial buyer. Financial buyers are not capable of bringing new tenants to a property, and most promise to. Financial buyers are all those buyers that are not tower companies. TCA recommends that you do not sell your lease to your tenant without professional guidance. Realizing future revenue from your site may be made more difficult if your tenant is their own landlord. This also applies to selling to a buyer that, in turn, is going to sell or assign extensions to your tenant! Every dollar you are able to extract when and if your tenant needs more space could be worth $168-$200 dollars in a sale of that new amendment or lease – so don’t give up additional space unless you are getting paid for it – substantially. Give TCA a call before doing anything. Our advice is free and given independently of our interest in acquiring leases. The principals of TCA have been in the business of acquiring wireless leases since 2001. Prices for the leases have translated into yields for the buyer that have ranged from a high of 15% or more to a low of 9.5% or so (like a bond, the higher the yield, the lower the price and vice-versa). That trend has been almost continuously down in yield (and thus up in price offered), with the exception of the 2008 financial crisis, over the entire 13 year period. Based on our most recent analysis of industry wide offer multiples (see our Market Data section), that trend seems to be coming to an end. While there are multiple factors in play in this or any market, four factors stand out to us as having the largest potential of starting a downward trend in offer prices for these leases: Inflation, Spread over Carrier bond yields, Competition and Telecom mergers. Regarding inflation: we have been in an extraordinarily low rate environment for years as the Fed has endlessly pumped money into the economy to bolster us out of recession. In Q4 of 2015, the start of what has to be a series of increases to interest rates has begun. With those increases, underlying index yields will go up, forcing money into safer instruments and yield requirements up. That means prices for these (or any riskier financial asset) will go down and that trend has started. Regarding Spread: Yields to the buyers of wireless leases, when accounted for over 99 years, are approaching 9%. The leases are cancelable by the wireless carrier at a moment’s notice almost without exception. The yield-to-maturity on the long-term bonds of the same wireless carriers are, on average, not far from this 9% number (ranging from 3 to 8+%). Unlike his lease payments, the bond payment a wireless carrier issuer must make is a ‘hell-or-high-water’ obligation to pay it for the term of the bond. When the difference in these yields becomes small, as it is now, capital will flow to the more secure investments – which is the bond. TCA thus believes that the natural floor on the prices for wireless leases is rapidly being approached and that it is a very good time to monetize these leases. Regarding Competition: By definition, this is a Seller’s market. High prices being offered for wireless leases are, in part, a direct result of heavy competition. Too much capital chasing too few deals makes for a Seller’s dream. The dream always has the same ending. Firms that price too thin to support their overhead fail. Financial sponsors and private equity firms bail because they can no longer make their required returns. The market is then left with fewer and fewer players until the one or two survivors no longer have to remain competitive in their offers – and they raise prices. During the meltdown of 2008, we saw exactly this happen to this market. All of the firms but one or two had their facilities pulled and the remaining firms took their yields from 11% to 14% overnight (and their offer prices down commensurately). For months, prices and competition stayed low. It looks like this is happening again. The next 12 months will, in our opinion, see significant fallout amongst the aggregation firms – so selling now makes sense. Mergers among the carriers: Historically, decommissioning of wireless sites by the carriers has averaged less than 1/2% per year. Site owners continued to see higher and higher offers for their rents and historically, more space was needed by existing tenants and more coverage by new tenants. Now we see that some of the risk was quite real and that the 1/2% has the potential to be much, much higher in the near term. The trend has already started as property owners who are (or ‘were’) landlords to MetroPCS, Clearwire and Cricket/LEAP will attest. Offers for these credit-tenant counter-parties have gone from 10-13 x annual rent to literally nothing in just a few months. These site owners waited too long to sell. While no one knows the eventual outcome of continued M&A in the US telecom markets, it makes sense to take the risk off the table today. If you are a site owner/landlord to any of the national carriers, call us to find out what your lease is really worth. After years of being taken advantage of, property owners/landlords that are currently selling their wireless leases are finally starting to see the prices they have always deserved. If you are a sales professional in the wireless lease buyout space, you might be asking where your ‘share’ of this market upswing is going. We don’t have to ask to know that it is not going into higher fees for you. If you are a wireless industry or real estate professional that knows property owners who have cellular revenue on their property, TCA provides you with an opportunity for sizable fees. Why would you accept fees in this business that are lower than traditional commercial and/or residential commissions are? Send us the details in confidence of your intended offer to a site owner for his lease and we will let you know what your compensation structure would be for that trade. If you are new to the business, TCA can both provide training and the materials you need to be successful buying wireless leases. Our standard program has no caps and creates an arbitrage opportunity for the originator between the purchase price he negotiates and the value of the lease. Registration for both site owners and prospective originators is free and confidential. Register today and TCA will value your lease or option. Please call us at (800) 675-0144, or e-mail us at info@towercapadvisors.com for more information. "Thank you very much for your assistance with my tower lease questions. Your prompt assistance and depth of knowledge really helped clarify some difficult questions." "I wanted to thank you for your advice on the tower buyout deal. ... I am getting roughly 17 years worth of payments up front [and] by this time next year my family will be completely debt free." "After interviewing a handful of cell tower industry consultants around the country...your genuine offer to help our group understand the nuances of negotiating our transaction was well received [and] your candor allowed me to feel comfortable sharing my confidential goals..."
"TCA was the most helpful, up-front and honest of all the buyers we spoke to. We were comfortable in our decision to sell our lease to them and now have the terms and cash needed to help our company grow." Nava Christian - Northern Star Enterprises, Inc.
"As a naïve cell tower lease holder considering selling my lease, TCA's website provided me with the information I needed to get a transaction done right. Mr. DeMita continued to support and educate me through closing and I was able to increase my offer by $95,000!" "Your expertise of analyzing our position, offering options, and then executing on the best option certainly created a lot of value for Vermont Academy." "TCA offered us great advice in negotiating our lease agreements and were both responsive and competitive in their acquisition process. I would advise anyone who is not an expert in the tower business to consult with Tower Capital Advisors. " "TCA helped my 80 year old mother renew our lease, was there for us every step of the way, and genuinely cared that we got a fair shake when there was nothing in it for them. Rare in today's 'what's in it for me' world!" "I wish I had known TCA a few years ago when I was dealing with our tower company tenant. Thanks again for all you do." "Trying to understand contracts and lease agreements can be daunting. With TCA's help, I feel more secure in knowing what our options are." "We especially appreciate your consultative approach. TCA's price was significantly higher than the two other bids we solicited." "We would whole-heartedly recommend TCA to anyone considering selling their lease. ... the closing process was smooth, [and] event free." "TCA purchased my tower lease. They were courteous and professional, with a personal touch, and they went the extra mile to make the closing and paperwork simple and stress free." "TCA provided us with a thorough analysis of our offers and purchase documents. I would highly recommend them to other property owners looking to sell their tower or rooftop lease." "Honest, free and knowledgeable advice on valuing our cell tower lease. Many thanks!" "When another sale proved difficult to close due to cumbersome documents, TCA offered to directly purchase our lease themselves for a much higher price. I would very much recommend TCA to anyone looking to sell their wireless lease." John Kowkabany - Nooram of Jax, Inc.
"TCA helped us get 30% more than our original offer for our site and provided very useful assistance on our offers and the process all along the way." "TCA has a good handle on the marketplace and provided us with free and very helpful guidance during our sale."